Do you fail to show up at appointments because you’re scared of the dentist? Do you see the dentist only when it’s absolutely necessary? You’re not alone. People have different reasons for avoiding dental care, from previous bad experiences to fear of pain. But what if you can actually “relax” at the dentist? Every day, Dr. Smith and his team care for patients who hate dentists. The same patients are often amazed at how comfortable procedures can be when performed by skilled and gentle professionals. Our office is a fun place to be, where you are always in control. 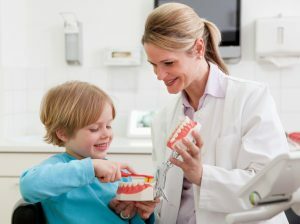 You will have a say in everything that has to do with your dental health, and you are free to stop the procedure at any time. Dr. Smith will only proceed when you are completely relaxed and comfortable. Your dentist in Prairie Village, KS uses DentalVibe, a system that makes local anesthetic delivery even more comfortable. DentalVibe is a small wand-like device that uses vibration to block pain sensations when the local is being injected. Even if you’re fine with needles, DentalVibe helps local anesthetic spread quickly and evenly. We do all we can to ensure you are comfortable during your visit in our office. We have a TV screen in every room where you can either watch what we’re doing to your teeth or watch a show or listen to music. If there is any way we can make you more relaxed, let us know! YOU are our top priority. Experience total comfort at our Prairie Village dental clinic. Call (913) 649-5600 now or click here to make an appointment.